New research, published recently in the journal Neurology, has found the surprising result that a genetic variant previously associated with better cognitive function in young people appears to have the opposite effect as people get older. Alexandra Fiocco and colleagues from the University of California, San Francisco, studied 2,858 men and women (1,679 white and 1,179 black) who were between the ages of 70 and 79 upon recruitment to the study in 1997. All were in generally good health and had no difficulty with day-to-day activities. Each person was given two tests at various points over an eight year follow up period: 1) the Modified Mini-Mental State Examination, a measure of global cognitive performance; and 2) the Digit Symbol Substitution Test, which measures response speed, sustained attention, visual spatial skills and set shifting, and has been reported to distinguish mild dementia from healthy aging. The study participants’ cognitive test results were then compared with their genotypes for SNP . This genetic variant is found in the COMT (catechol-O-methyltransferase) gene, which encodes an enzyme involved in a variety of chemical conversions in the body, including the degradation of the neurotransmitter dopamine. The different versions of encode COMT proteins with either a valine (Val) or methionine (Met) at amino acid 158. The Val version of COMT (G at ) is associated with higher COMT enzyme activity, and therefore lower levels of dopamine in the brain, while the Met version (A at ) is associated with lower enzyme activity and higher dopamine levels. In experiments carried out mainly in younger people, the Met version of COMT has been shown to be associated with better cognitive function. 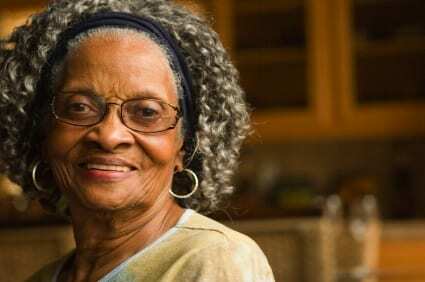 Fiocco, et al., however, found that it was the Val version of COMT that was associated with less cognitive decline over the course of eight years in the elders they studied. In both white and black subjects, the Val version correlated with smaller reductions in Digit Symbol Substitution test scores. In white subjects only, the Val version was also associated with smaller declines in Modified Mini-Mental State Examination scores. Why might the Val version of COMT have a protective effect against cognitive decline? The authors suggest that the higher levels of COMT activity, and thus lower levels of dopamine in the brain, associated with the Val version might be better for optimal cognitive function in older adults due to the fact that there is a reduction in dopamine receptors in the brain as people age. In support of this, they point to data showing that the brains of people with dementia have decreased levels of COMT enzyme activity. Results from a few other studies in older adults contradict the findings of the current report. That, combined with the fact that the Val/Met variation in the gene appears to have opposite effects in younger people, means that much more research will be needed to truly understand the role of COMT in cognition.